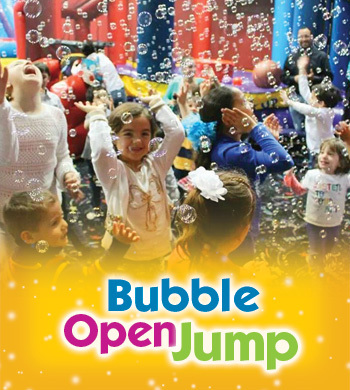 Pump It Up of Union City is proud to offer our community Sensory Jump Time FREE of cost, a program for the children on autism spectrum and their families. 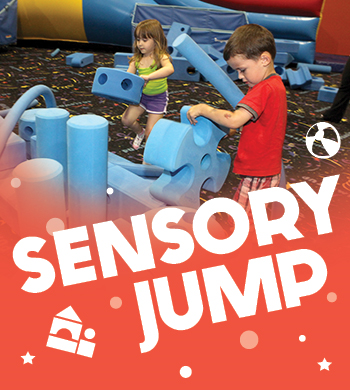 We have created a sensory-friendly environment specific to our Sensory Jump Time program. 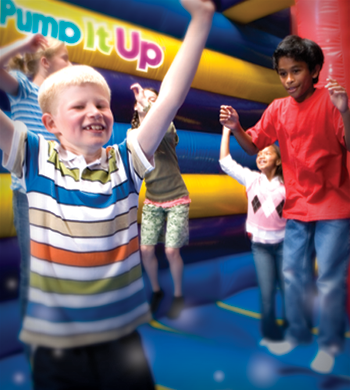 Children who attend will have the opportunity to make new friends, jump, slide and play sensory-friendly games within a controlled, safe environment. This program is open to children on the autism spectrum and their siblings only. Advanced registration is encouraged as this program is not open to the general public in order to provide a safe environment for the children. 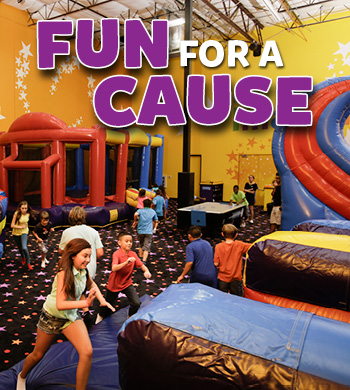 Pump It Up is a proud supporter of Autism Speaks. For more information about autism, visit www.AutismSpeaks.org. 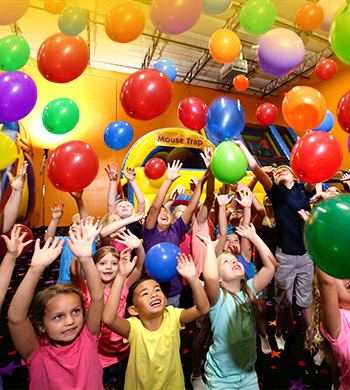 Have a Boppin' Balloon Bash Drop with a hundred balloons dropping from above for a fun experience you won't soon forget. Everyone will have so much fun, you will all feel like you're floating on air! 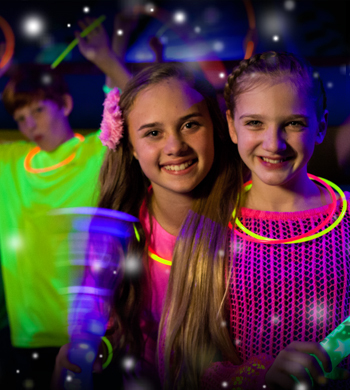 Special Glow Jump is open to kids of ages 12yrs and under. Come and enjoy our new glow lights best in the Bay Area!! Enjoy fun jumping, climbing and sliding time with special FX lights and LED black lights all synced to the beat of energetic music. An awesome experience for kids they will never forget! You can also order full pizzas for the whole family at the time of entrance into the Arena and enjoy it in the party room after the playtime. 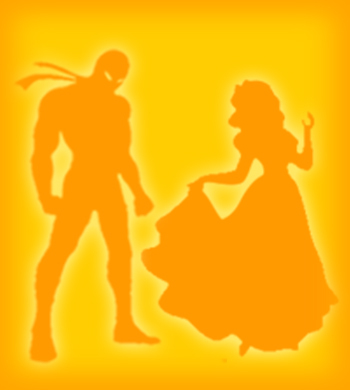 Join our Interactive superhero Jump along with our Adventure soundtrack music. Each child receives a superhero Face mask. 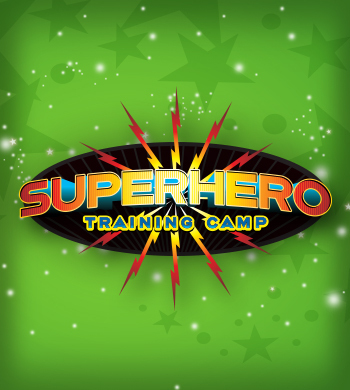 Come dressed up as a superhero and get $1 OFF Admission. 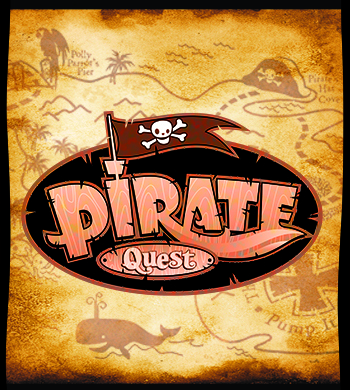 Join our crew of jolly buccaneers on a scavenger jump. Each participating mate will get an Eye Patch to take home. Come to this jump session dressed up as a pirate and get $1 off Admission! $12 per child, Adults are FREE! See Events calendar for Current schedule. Bring the kids for a Fun Jump time with a "Dippin'Dots" Ice Cream treat that kids will enjoy! 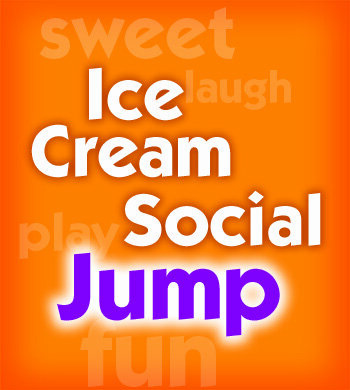 Each paying child will get an ice cream at the end of the Jump session. Check our Event Calendar for times! Come play at Pump It Up and enjoy the visit of a surprise character for the last 15 minutes for photo ops. Character will vary. $12 per child | Parents are Free! Come join us for an open jump 1st thing in the morning! Wear your PJ's to this morning jump. This is Fun for the entire family. Please don't forget your socks. Watch how our bubble machines fill the room with fun while the kids jump and slide away!